I'm on vacation! This week, I'm taking a much-needed break to recharge the batteries and get a change of scenery. To keep things going around here, I've enlisted the help of several friends of the blog to submit guest posts on various topics of their choosing. Here's one from tk lê, Angry Asian Intern. I love Koreatown. From Far East Movement to Parker (aka Dumbfoundead) to Roy Choi and the entire cast of Ktown -- as many before me have said and shown, the neighborhood is filled with small businesses to satiate practically any of my child-of-immigrant cravings, and at any time of the day. The local mail store that opens before the post office does, the bar down the street that lets me bring my own mixers, and the endless fried and spicy things to cure all that ails me... Yes, I love Ktown for all these things. I also love the community here. 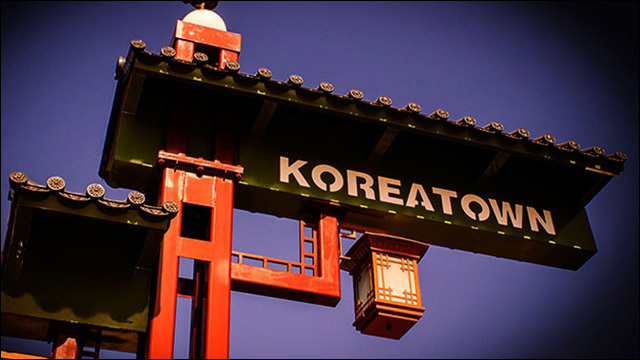 As one of the densest populations in all of Los Angeles, Ktown is filled with people. Workers who catch the bus before sunrise, God-fearers who worship with megaphones, gardeners who harvest fresh vegetables between brick and concrete. People -- mostly working class people of color -- exist here, they live and they thrive and they struggle. They play and they work and they party. Hakim is behind what is tentatively being called the "Catalina Project," 27 stories of luxury rentals that offer little benefit to the existing community. To understand the scale of this project, 27 stories is nine times the scale of the surrounding buildings in the area. Of the 269 apartments being proposed, not one is being offered as affordable housing. And going by similar developments along Wilshire, with rents for one-bedrooms reaching $2000, Ktown's rents are only going to go higher. The project displaces at least 14 rent-controlled units, and is just adjacent to a strip full of small Korean and Oaxacan businesses. With 500 parking units dedicated only to the tenants, imagine the traffic when students from the neighboring Robert F. Kennedy Community School come to and from school. The city has done some initial studies on environmental impacts of this development, but nothing substantial. For something as enormous as this project, it's ridiculous to say that this development will not affect traffic or pollution in the surrounding area. My neighbors have gone door knocking at surrounding apartments and local businesses to get a gauge on how people feel about the project. Most did not know about it at all. None of the materials sent to the area were in languages accessible to this multilingual community, which includes Spanish, Korean, and Vietnamese speakers. In fact, when we received the last public hearing notice, it took my roommate and I a good amount of time to figure out exactly what it was saying. The city holds public hearings at times when most people are at work, and attending is only effective if your agenda item gets talked about that day (which sometimes it is not, and you must wait for the next public hearing if that is the case). Surprise! Most people we spoke to did not approve of the project. So, with all this in place, how is this project getting the OK to go? The developer has been trying for over a decade to build on this block. The City Planning Commission and the City Planning Department, first under Antonio Villaraigosa and then Eric Garcetti, vetoed Hakim every step of the way for those ten years. At a public hearing on October 8, the City Planning Commissioners once again voiced opposition to the project, citing that it is not "consistent with good zoning practice." But Garcetti's vote is more powerful than theirs, and a few months ago, he overruled his own city appointees to approve construction. His approval reduces the number of City Council votes needed -- and a City Council vote is the final step in this development from happening. Additionally, Councilmember Herb Wesson oversees this district and also supports this development. With his backing and political influence, Wesson can pressure other councilmembers to vote in favor of the project as well. Hakim has agreed to cede some of his profit over to the city. He's promised $1 million toward the Affordable Housing Trust Fund and an additional $250,000 to Wesson's district. While that may sound like a lot of money, the funds for affordable housing is not guaranteed to go directly to Koreatown, and also only enables the construction of approximately two units of affordable housing. Garcetti backs the project because of its proximity to public transit; he says that the Catalina Project is in line with the Wilshire Community Plan, which encourages developments that reduce traffic in the area. Again: 500 parking spaces, and only for the residents of the luxury rentals. Research shows that those who can afford such rentals do not use public transit even when they live by it. Hakim, Garcetti, and Wesson have blatantly disregarded the needs of the community, even circumventing asking and informing the community. It is worth repeating here that Hakim thinks that the community = rapists and pedophiles. The profit that the they will receive is immensely disproportionate to what Koreatown will get, which will only aid the neighborhood in the short term. 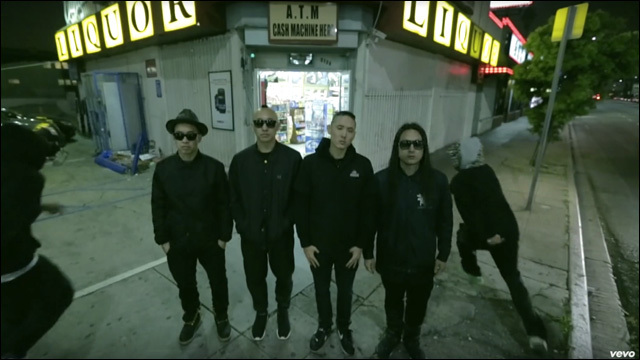 Nobody is saying that Koreatown shouldn't change. We may all agree that Ktown has its charm, but it also has its issues -- we need cleaner streets, safer spaces accessible to the community, and affordable housing. In a city with rapidly rising rent costs and a city emergency declared on homelessness, a tower of luxury rentals only augments these crises. Let's talk about development that centers people and not profit. Please help us protect Koreatown and work toward building development that gives real, tangible, and long-term benefits to the families who are already here. We're quickly running out of options to stop this development and need your help. Here are things you can do from where you're at -- right now! 1. Sign the petition to support this community in our efforts to stop the development. 2. Call City Councilmember Herb Wesson's office - 323-733-9233 and Mayor Eric Garcetti's office - 213-978-0721. Sample script: "I am calling to oppose the Catalina Project that spans from 805-823 S. Catalina St. in Koreatown. A 27-story luxury tower is out of line what what the community needs, which is affordable housing. I demand a full environmental report to know how this development will impact the neighborhood. The community's voice MUST be included in these decisions." 3. Follow up with us! Join our cause. We are a completely grassroots group and need all the help we can get as fast as possible. We are on Wordpress and Facebook. You can e-mail us at protectktown@gmail.com. **Special thanks to badass Ara Kim for helping to inform this article. tk lê likes coffee and bourbon and reading horoscopes. When she isn't working, interning, or community organizing, she is desperately trying to finish her UCLA Asian American Studies M.A. thesis on Vietnamese American war memory. Her latest project is a series of meditations about her mother, called The Labor of Longing.